Posted in Doubt, Fear, Self-awareness, Writing and tagged as dreams, feelings, garden, Stephanie Chick. I agree with Steph and Papa. I see growth in your interior life and a flourishing group of followers eagerly awaiting your next blog. 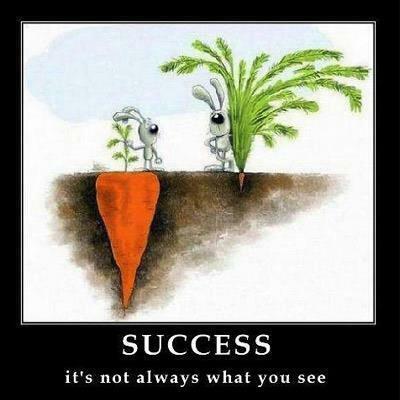 You might not see it, but others do. The waiting is where we grow stronger. I don’t like to wait either. Which i guess is why patience is a virtue. I pray for your patience seed to grow and flourish and pop its head about ground so you can feel the warm sunlight of of success redefined. Thanks for sharing and being vulnerable. Its part of what we all love about you! Thank you for the support Tashalynette. You are the sunshine on my soul many many days. Oh goodness – you’re channelling a lot of us here. I think I’ve said the same thing practically word-for-word. In fact, I did apply for a job at McDonald’s not too long ago because my work seems so fruitless sometimes – at least on the money front. But God keeps telling me to just keep doing what I’m doing, so I turned around and drove back home on my way to the interview. Gah – why is this all so hard?!? Ah well. God is good even when life isn’t.